Head and neck pain are very common ailments, and everyday activities can lead to pulling or straining these areas. In some cases, the pain goes away on its own over time. However, the pain can also last for longer than a couple of weeks. If your head or neck pain is not responding to stretches or rest, it is likely time to see a head and neck doctor. You should also plan to see a doctor if you notice any changes in your head and neck, including bumps or deformities. The University of California Irvine Department of Otolaryngology-Head and Neck Surgery consists of top physicians and researchers in the field of ear, nose, and throat medicine, as well as head and neck surgery. Our staff is able to diagnose and treat a range of conditions and problems, such as head and neck cancer. We perform a full range of head and neck procedures, including full aesthetic and cosmetic procedures. Widespread pain in the head and neck can be debilitating. Neck pain can extend out to the shoulders and into the arms. Neck pain is often accompanied by stiff and sore muscles, and it can make regular activities and movements very difficult. Pain located in the head and neck can be acute or chronic. Acute pain is temporary, while chronic pain lasts for weeks and is persistent. Many patients report experiencing head and neck pain, especially those who work on the computer every day. Staring at a computer screen results in a lack of movement that contributes to stiff muscles, and patients with arthritis or previous injuries are more at risk. Obese patients are also at risk of experiencing chronic head or neck pain. We see patients for any type of head and neck condition, including the visual appearance of the face. Our staff members are trained to treat cancerous and non-cancerous tumors that are located on the head and neck, and also perform reconstructive surgeries to correct deformities or following facial trauma. One of the most effective ways to manage head and neck pain, especially in the case of an injury, is with ice and heat therapy. Ice works well for reducing swelling, and heat is good for soothing pain. This is just one example of a conservative treatment method. In many cases, conservative treatments are helpful. But there are other instances where surgical intervention is necessary. Our physicians will work with you to determine the best treatment. We recommend scheduling an appointment if you are experiencing any sort of head or neck pain. Although most reasons for this type of pain can be easily treated and managed, there are some serious conditions that require treatment to be quick in order to be most effective. You can expect us to ask questions about your symptoms and about your medical history to try and determine the cause of your pain. We can also perform diagnostic testing, like x-rays, to get a better picture of the problem. Our department consists of a group of physicians and researchers. Working in otolaryngology involves completing up to 15 years of college and post-graduate training. 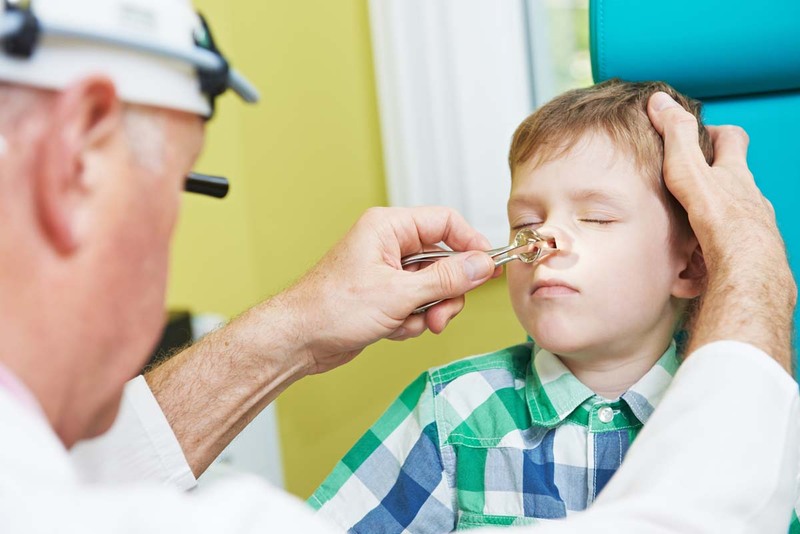 Ear, nose, and throat doctors also receive certification by the American Board of Otolaryngology after completing training and passing an examination. Many in the field also pursue fellowships to receive training in a subspecialty area. Although many practices limit themselves to one or a few of these specialties, The University of California Irvine Department of Otolaryngology-Head and Neck Surgery is able to see patients relating to any of these. In addition to specialty training, our professionals are highly regarded in the field and are regularly invited to present research or lectures at the regional, national, and international levels. Additionally, we work to train medical students and physicians who are training in the field. Contact our offices today to find out how we can help you find relief from conditions that affect the head and neck. We welcome patients of all ages and will work to provide you with the care that you need.